"It was so hard going back and forth that I decided that I'll just be Hannah forever!" she joked. (My time machine works! It's 2008 again!) The singer also recently followed the Instagram account @hannahmontana, which has diehard Disney fans launching wild theories about a potential reboot of the 00s show. Some fans were suspicious that Cyrus had simply donned another wig or added blonde extensions, but the actress uploaded another image to her Instagram story showing the foils in her hair to prove her real commitment to this Montana throwback. She also shared videos of her singing along to the old songs which brought her to fame fifteen years ago, including 'Best of Both Worlds' and 'Nobody's Perfect'. Could We See a Hannah Montana Comeback? On the 24th March 'Hannah Montana' celebrated its 13th anniversary since the first episode was released on Disney Channel. 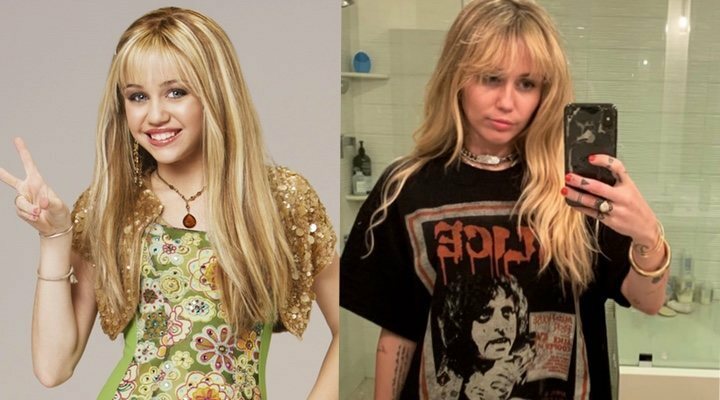 For five years, from 2006 to 2011, Miley Cyrus starred in the role of Miley, a normal school girl with a secret double life as a world famous pop star. Perhaps the anniversary can give us the perfect excuse for a reboot special, to find out where the fictional Miley finds herself eight years after we left her! Cyrus recently uploaded a photo to her twitter together with Selena Gomez, the Jonas Brothers and Demi Lovato, which has only added fuel to the fire. This internet generation's nostalgic spirit lives on.